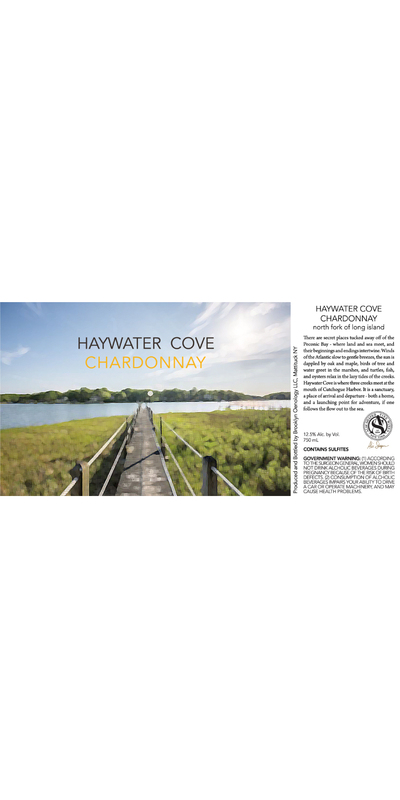 Haywater Cove Chardonnay is a balanced, full-bodied Chardonnay made from grapes from North Fork vineyards, and is a tribute to the beautiful surrounds of Peconic Bay and the North Fork of Long Island. 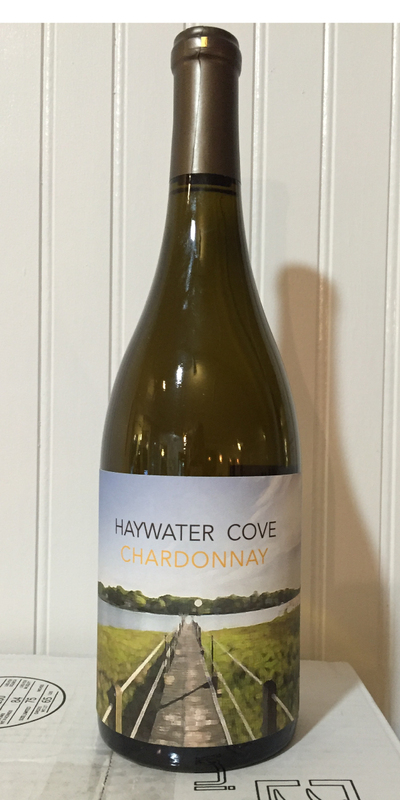 This Chardonnay represents the treasure of our local growing season. A little creaminess, with refreshing acidity, mingles with baked apple, pineapple, nectarine, honeysuckle, vanilla, and almond. It's a perfect sipper for picnics on the dock, lounging on the boat, or at your next al fresco supper. Balanced and substantial, this Chardonnay has potential to stand up to anything which requires a white with some weight. Substantial fish, scallops, lobster, pork, veal, chicken, turkey, medium firm cheeses, grilled vegetables. A great wine for the fall/winter months. Stainless-steel fermented and stirred on its lees for six weeks in tank. Transferred to a combination of new and used French oak barrels for 6 months for malolactic fermentation and maturation, with 10% stainless-steel Chardonnay blended back in.